Language halls, such as the Mandarin Hall, Arabic Cluster and German Corridor, offer students the opportunity to practice the foreign language they’re learning on a day-to-day basis. Language houses such as Casa Cervantes and French House provide an especially immersive experience. The history of French House is as rich and complex as its beautiful architecture. 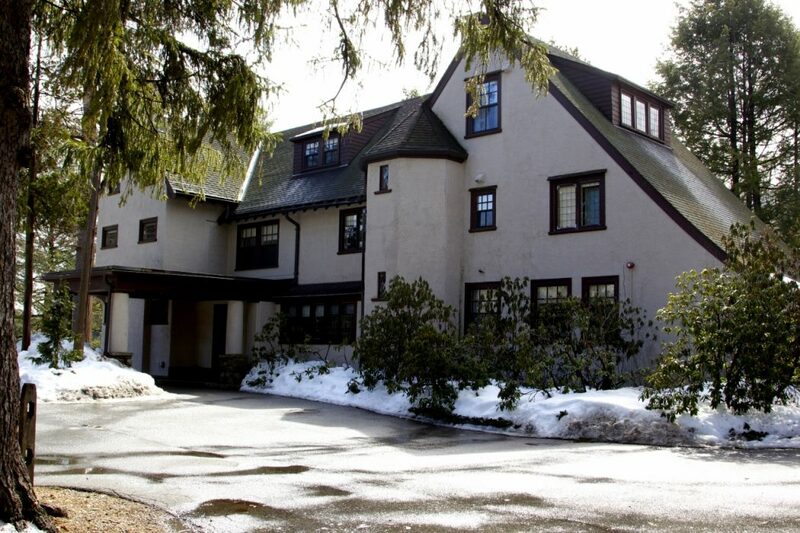 Located on Dover Road, past Instead Feminist Co-op and SCOOP, French House was initially owned by Hewitt G. Fletcher, a local member of the Wellesley community and daughter of Wellesley alumna Marion Lowe. Wellesley purchased the house from Fletcher in 1940, originally for use by the German Department. However, between 1940 and 1970, student interest in German faced a precipitous decline, due in part to World War II. By 1970, the house was in shambles and in desperate need of renovation. The College had plans to demolish the house, but members of the French faculty intervened and proposed the idea of turning the abandoned house into a French cultural center. Thus, construction and renovation of the house began, and it evolved into what it is today. Casa Cervantes shares a similar philosophy, though it has a different atmosphere and history. Before Casa Cervantes, there was Spanish Corridor, which was established in 1944. Originally called “La Atalaya,” which translates to “The Watchtower” in English, Spanish Corridor was located on Claflin’s fifth floor before moving to Munger’s fourth floor. Around 1984, conversations about constructing a “Spanish House,” similar to French House, began. Initiated by the Spanish department at the time, faculty members originally considered Lake House as a potential location for the new Spanish House. However, they ultimately chose the little yellow house adjacent to Lake House, which used to be owned by the dean of the College. Language houses are distinct from multicultural spaces like Acorns or Harambee for two reasons. Firstly, students live in these residence halls during the academic year, and secondly, they are required to speak in the target language in the house. For Casa Cervantes resident Madison Ann Lee ’21, the decision to live in a Spanish-speaking environment was a personal one. According to Lee, residents sign a contract at the beginning of the year that affirms their commitment to speaking in Spanish inside the house. “It’s a great environment, particularly for me, to get in the mindset and practice speaking Spanish in a casual setting. I enjoy throwing comments at [my roommate] and asking her things like, ‘Hey, is the bathroom free? Yeah, the bathroom’s free,’ and just stuff like that,” she said. Language houses are closely affiliated with their respective language departments, and host monthly events for student residents and professors to mingle. Some events that French House has hosted recently include a crepe-making party, weekly brunches and weekly cooking nights. In the coming weeks, residents of French House hope to host a pumpkin carving event. According to French House resident Annabel Rothschild ’20, one of her favorite parts of French House is the community. “I actually really like the community here — because we are such a tiny community, it’s a really tight one. You run into the same people a lot, and you have these really tiny dialogues going. Brunches are really fun,” she said. Oftentimes, members of language houses are coming from different backgrounds and have had varying life experiences, yet they share a single unified desire to become experts in a particular language. In recent years, language corridors have also sprouted up in various residence halls around campus. Language halls are similar to language houses, except students often occupy a hall (or a portion of a residence hall) instead of an entire house. For example, Mandarin corridor is located in the right wing of the first floor of Bates. According to residents Emily Dromgold ’21 and Nicole Li ’21, the decision to live in Mandarin corridor can be more casual than the decision to live in a language house. “Nicole and I were roomates last year and I heard about it in class and I was like, ‘Nicole, do you want to live in Mandarin corridor?’ and she was like, ‘Yeah!’” said Dromgold. But ultimately, Li revealed that she decided to live in Mandarin corridor to improve her Mandarin. “ … And for the food, and the events, and the bonding. Almost every weekend we have had cooking events. We’ve had spring rolls, we’ve had dumplings, we’ve had mooncakes,” she added. Dromgold admitted, however, that it’s a challenge to only speak in Mandarin. “It’s a little challenging because there’s only six of us and we don’t run into each other that often,” she said. Like language houses, residents of language corridors also have to fill out a short application. In the case of Mandarin corridor, which just re-started this year due to increasing student interest, the application was much shorter. Students must have at least two semesters of previous Mandarin experience in order to live on the hall. In contrast, students need to be fluent in their target language in order to live in Casa Cervantes, French House and the Arabic cluster. “The majority of the hall doesn’t speak Mandarin because [it] just re-started this year,” explained Li. Even so, the Mandarin hall, just like French House and Casa Cervantes, offers a space for students to connect with each other and experience a different culture.